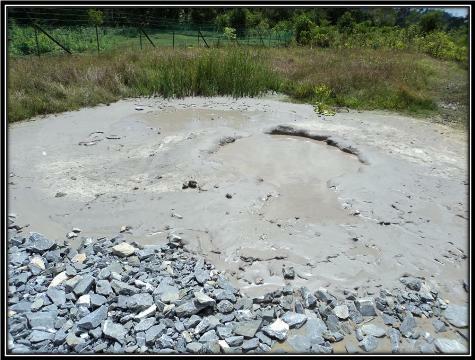 The Meritam Volcanic Mud, locally called the ‘lumpur bebuak’, brings visitors from near and far to bathe in the warm bubbling mudpots. 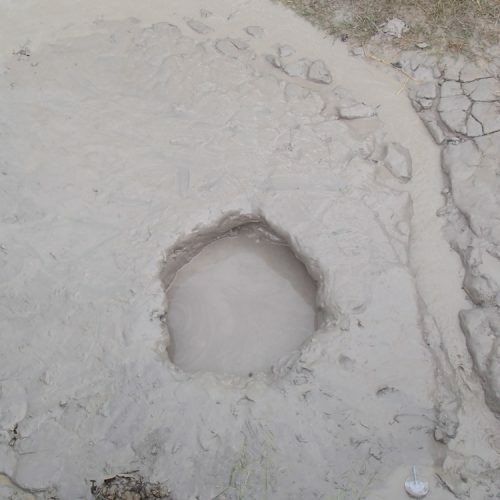 Some of the mudpots can fit up to five people, and as the mud bubbles and hardens along the rim, which overtime forms a mud volcano. 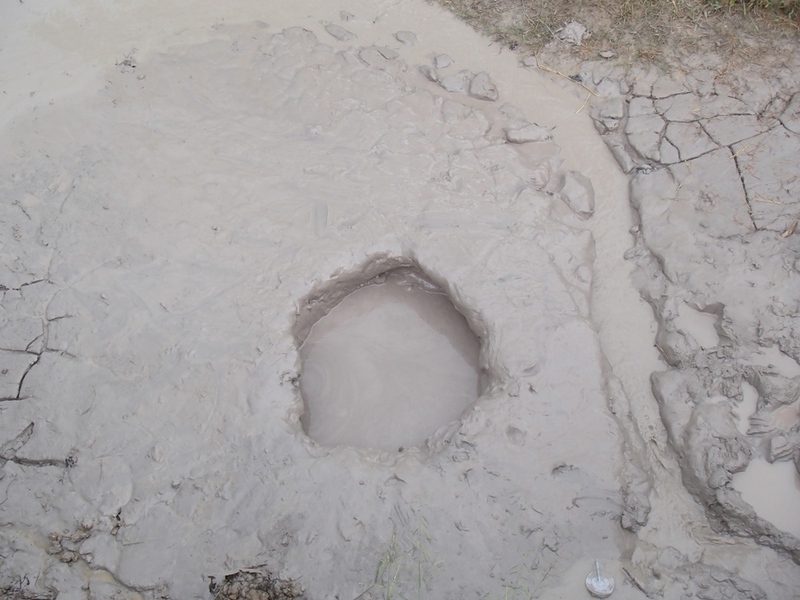 A child plays in a mud pool at the Pesta Lumpur Bebuak. 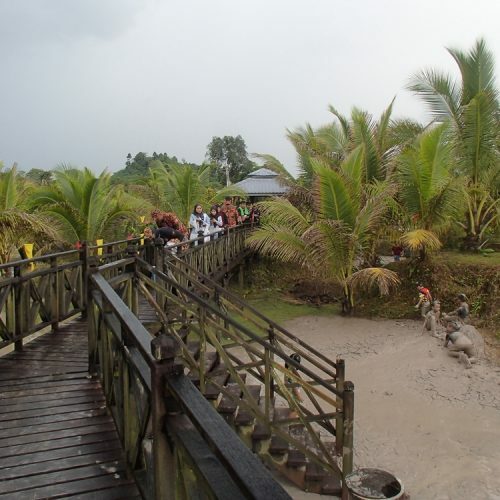 Photo credit: Borneo Talk. 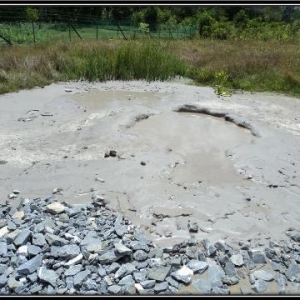 While the origins of these mudpots are not confirmed, research into the mud have found it to be free of bacteria and to be safe for humans. Locals also swear by the mud’s healing and cosmetic properties as well, bringing many people to take long dips in the relaxing warmth of the bubbling mud. 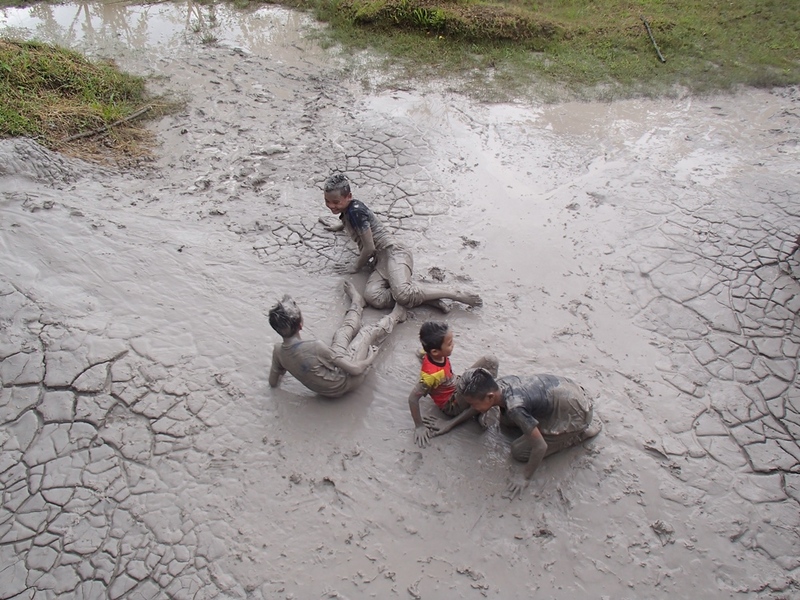 A festival centered around these mudpots was started in 2016, with activities like mud futsal and dodgeball, a masking competition and ‘Mr. Bebuak’ competition. 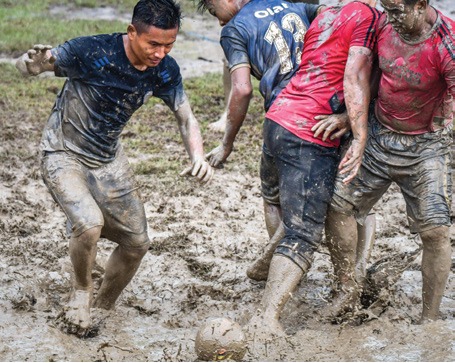 Locals engage in a game of futsal in the mud during Pesta Lumpur Bebuak Meritam 2018. Photo Credit: Borneo Talk. 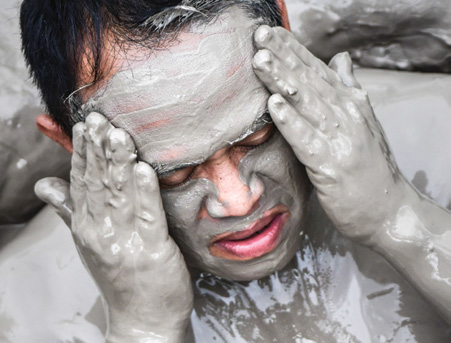 Visitors come from near and far to lumpur bebuak to cover themselves in mud and emerge invigorated and with noticeably smoother skin afterwards. Photo Credit: Borneo Talk. The festival will occur around November every year. 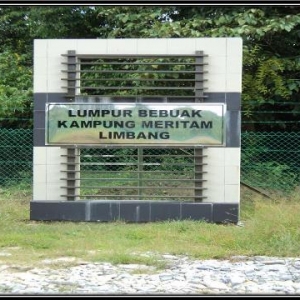 There is a RM4 charge for the usage of the facilities for shower and cleansing purpose. 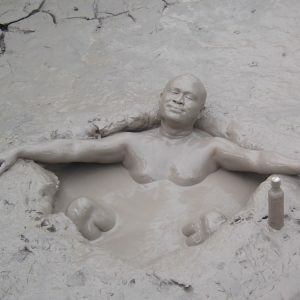 Bring along extra clothing and towel if you plan on dipping the mud pool. Bring food and water, as there are no available stalls nearby. 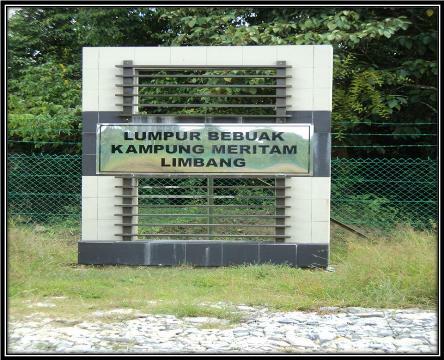 Located about 40km from Limbang town, the route has clear signage to Meritam. 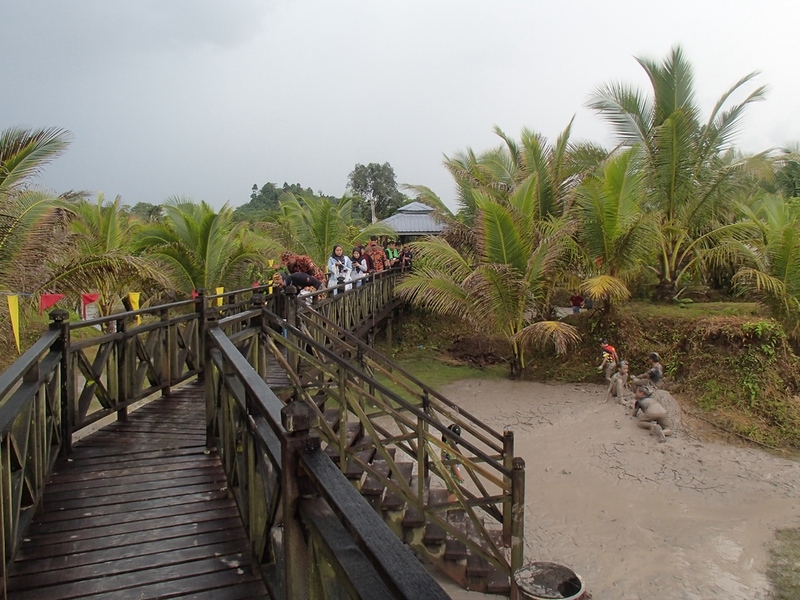 Visitors can self drive, with taxis costing approximately RM50 for a one-way trip.